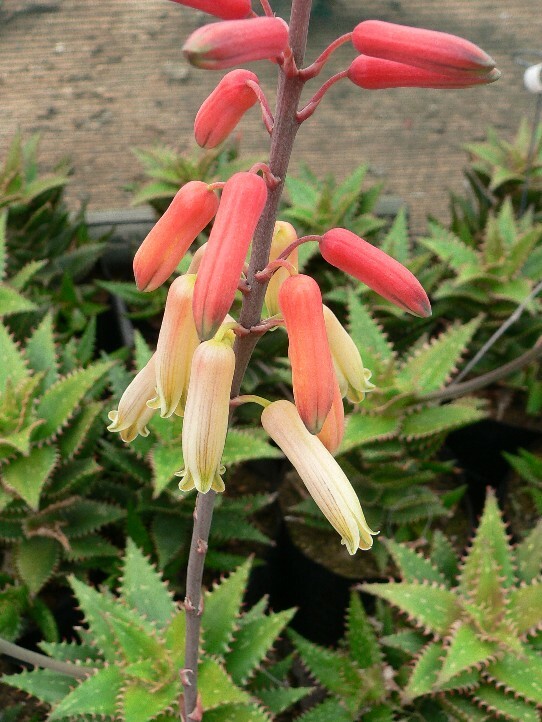 The striking short spotted leaves with a stunning decorative edge, combined with lanky pink flowers that change to creamy white when open make this little aloe hybrid special. 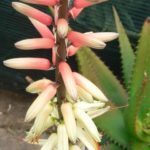 The older leaves remain on the plant and are not shed as soon as most other aloes, creating a special effect. 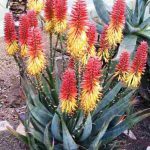 Suitable as a trailing plant over rockeries, retaining walls, hanging baskets or as a pot specimen. 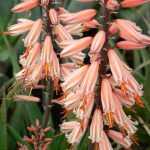 It can flower any time, but more often in the colder months.